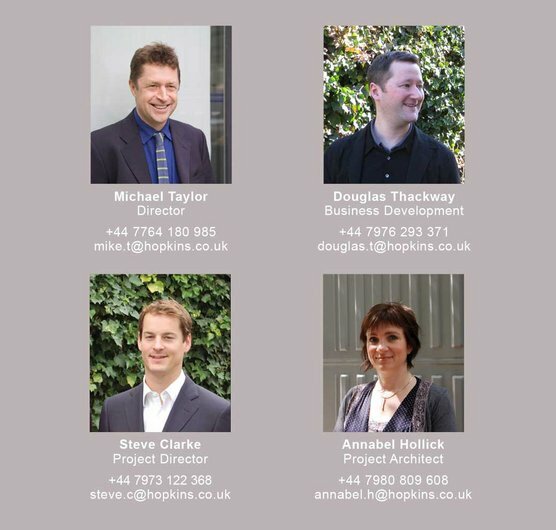 Hopkins Architects will be at MIPIM, the international property exhibition in France, again. We'd be delighted to meet you there. This year, we're exhibiting on the London Stand, alongside their London 2012, Olympic Park model. The main focus of our exhibition will be London and international sporting projects from the London 2012 Velopark to the LTA's National Tennis Centre in Roehampton; from the MCA Pune International 57,000 seat cricket stadium, India, to the phased rebuilding of the legendary Chepauk Stadium in Chennai, India into a 42,000 seat venue. At the same time, we'll be reminding visitors that we've just completed the BREEAM 'Excellent' Service First Centre in Hackney, are on-site with the low energy, exemplar Cancer Care Centre for UCLH and are due to go to planning shortly for Brent's new low energy Civic Centre. Not to mention the wide range of other international projects that we're working on in the US, Middle East, Asia and Europe. Team members from London will be there if you'd like to find out more.